It has been a great year for all of our Grandview Passion Project groups. New ideas and traditions have been brought to our Grandview community. Despite many obstacles, our group was able to fulfill our mission and Improve “The View.” Our original goal was to construct 2 beach volleyball courts on our Grandview campus. These courts could be used by students during leisure time and be used for competitive play. However, getting the proper funding for these courts was a major challenge. We were not able to overcome this obstacle and our beach volleyball dream was no longer possible. Despite this, our group continued to look for ways to Improve our school and its athletic department. Our group has mentioned before that beach volleyball is the fastest growing sport in Collegiate Athletics history. Well this craze for beach volleyball has spread to Florida Atlantic University right here in Boca Raton. Our group sees this as an incredible opportunity to learn more about the sport on the college level. Also, the insight of how to build a beach volleyball complex will be very useful. The Owls season begins on Saturday, March 5 at their beach volleyball courts against University of North Florida. 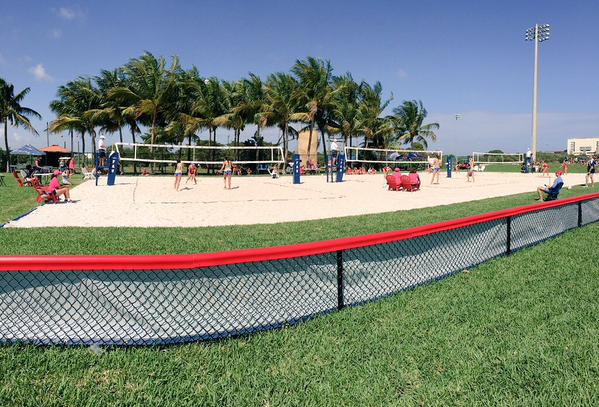 Florida Atlantic was successful in improving their athletic department with the addition of beach volleyball courts. We are looking to do the same at Grandview. Our field trip to the Florida Atlantic beach complex is currently scheduled for March 17. Our group is looking to cease this opportunity to better understand the construction of a beach complex. Also, we would like to share our passion for Grandview athletics with the rest of our innovation classmates. We hope that our peers enjoy this trip and see how exciting a beach complex at Grandview would be. Funding is still an obstacle for “Improving the View.” We ask all of our followers to please donate by going to gofundme.com/theview We would like to thank FAU and coach Steve Grotowski for making this trip to FAU possible. Good luck to the Owls this year! And please join the movement for beach volleyball at Grandview. We are excited to announce that Improving the View has received its first donations. The project is officially off the ground and we have very high hopes for our future. Our mission has always been to enhance our Grandview community and our athletic department for many years to come. We are striving to reach that goal, but we understand it will not be done easily. The funds required for our project are substantial, but the help of organizations and people who want to expand youth beach volleyball in South Florida we can achieve our goal. Promoting athletics, and specifically beach volleyball, is a big part of what our group is geared to. However, we are taking on this endeavor to improve our high school. The five students in our group are very passionate about athletics and Grandview Prep. It seems very fitting that our “Passion Project” is geared toward enhancing the athletic department at Grandview Prep. We believe our projects would bring more student-athletes to Grandview and bring even more publicity to an impressive, athletic school. Thank you for reading and keeping up with our group. Please donate to make Grandview a more exciting and successful place. The plan for our group, “Improving the View,” to build two beach volleyball courts on our Grandview campus has been set in motion. We have decided on a location and began researching how we will make this dream a reality. The next step for our team is to develop a budget and find sources of fundraising. Our group has determined a relative price for most of our materials including professional nets, poles, a tarp, and boundary lines. The total of those materials is roughly $1,333. We have calculated how much sand will be needed in order to construct our courts. However, many organization’s distribution of sand varies on the amount and the location of our school from their organization. We estimate our cost of sand to be $3,500. This brings our grand total to $4,833. We understand this is a large number and we will have to input major effort to reach this goal. Plans to fundraise include grants, online contributors, local donors with interest in beach volleyball, and donors in the Grandview community. We also hope to receive financial support from volleyball organizations such as USA Volleyball or FHSAA Sand Volleyball. These organization’s want to expand the popularity of beach volleyball and we believe they will want to contribute to the construction of courts in our South Florida community. We ask anyone interested in enhancing our Grandview athletic department and contributing to our project, to please contact any of our group members through e-mail or telephone. Florida Atlantic University has recently developed a beach volleyball team and constructed a sand complex on their campus. I would like to introduce our Grandview Passion Project group, Improving “The View.” Our group is made up of 5 GPS athletes and we would like to leave our mark on the athletic department here at Grandview. Our group is made up of 3 Grandview girls basketball players, Alexis Romer, Scarlett Anoiser, and Megan Rampersad, and 2 Grandview boys basketball players, Jake and Matt Schner. We plan to construct 2 beach volleyball courts on our Grandview campus. The courts will be placed behind the gymnasium and pool in the area shown in this image. Following the construction of these courts, the area will be open to the school. Students may use the area for leisure and teachers may use the courts for interactive lessons. There is great potential for renting the courts to users for lessons, clinics, and camps. This can generate revenue for our athletic department at Grandview and bring students onto our Grandview campus. Our largest goal is creating a beach volleyball team at Grandview. Beach volleyball is currently the fastest growing NCAA sport ever, and we believe that trend will continue into high school athletics. We would like to have boys, girls, and possibly co-ed teams that compete at the state level. 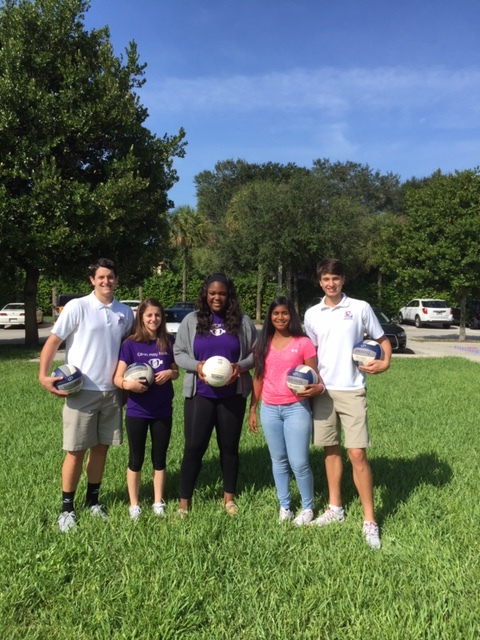 Having beach volleyball courts will make Grandview one of very few schools in South Florida with a beach complex. We welcome your support for the construction of our courts and the creation of our team. We are excited to enhancing our Grandview community and our athletic department in the upcoming year.